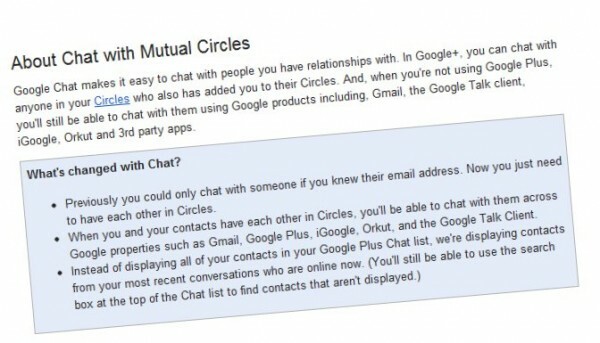 Without knowing the email address of those who have in our circles,Google Plus added over the next two days the possibility of communicating by email with them. 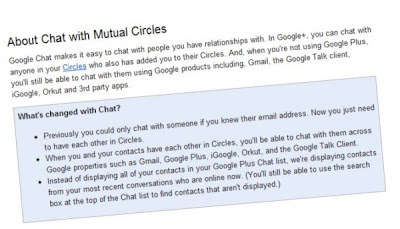 Google will contact their chat tool, with possibility to continue the conversation from other Google tools like Gmail or Gtalk. The news, announced at the Google Account Plus , it opens a communication channel between users while respecting the privacy of email, which long were being asked in various forums. Instead of displaying all contacts On chat, we will see only those with whom we have recently reported, without increasing the visual pollution of the system.